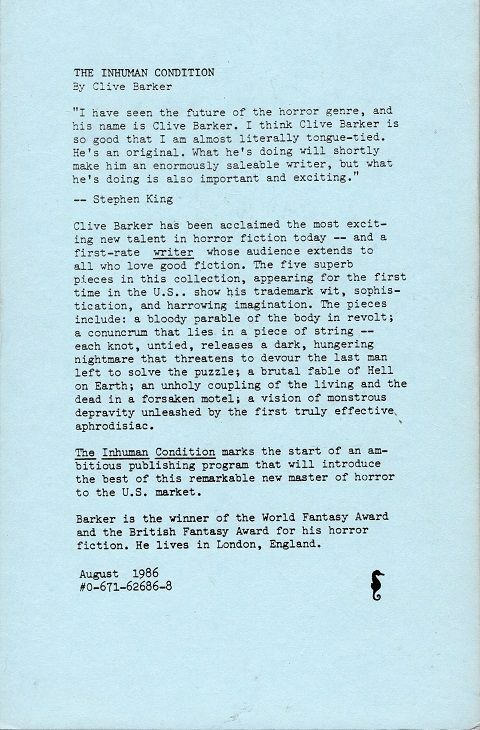 I have seen the future of horror..Stephen Kink blurb. 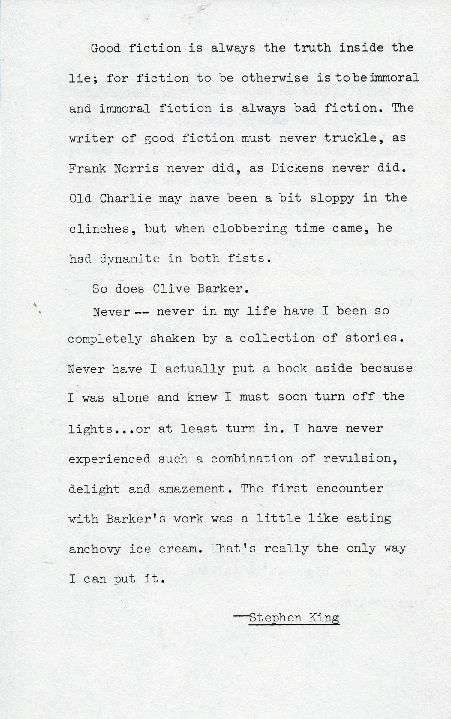 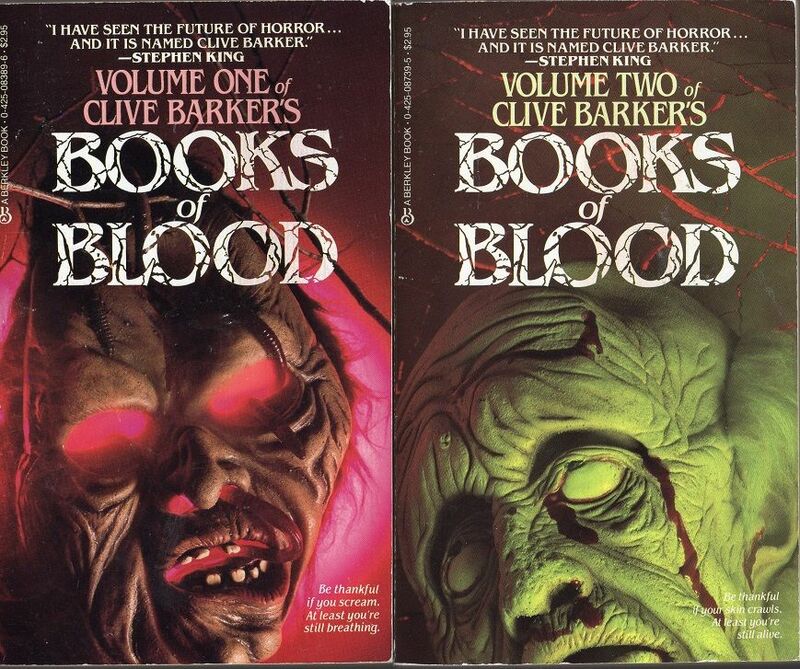 "I have seen the future of horror and it's name is Clive Barker. " 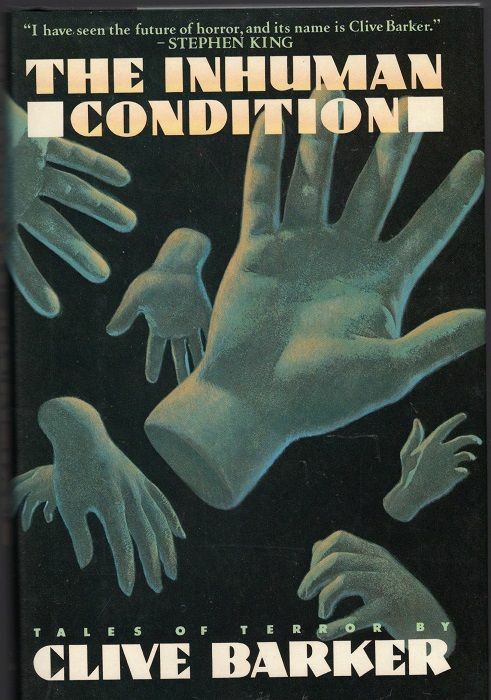 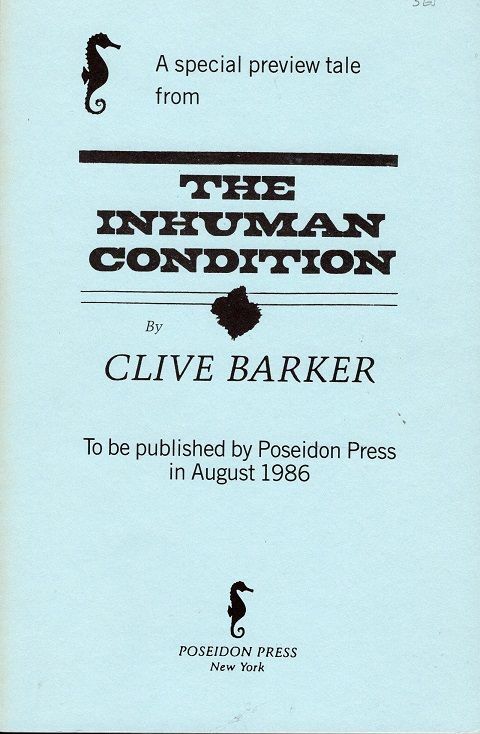 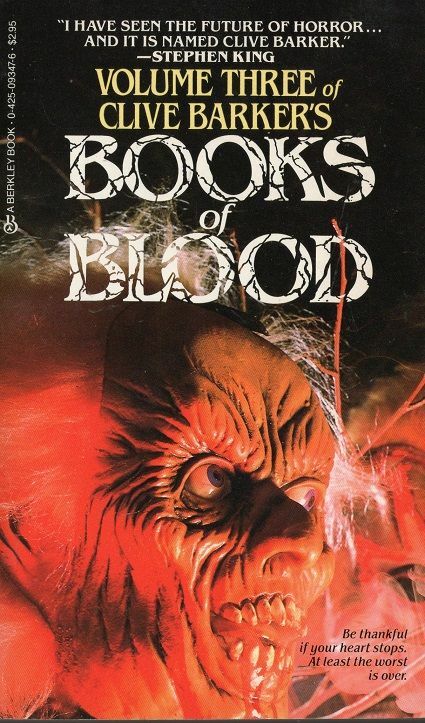 is the blurb on the covers of the 1st editions of the U.S.A. Books of Blood 1-3 & the 1st edition of The Inhuman Condition (Books of Blood 4) Where did the quote come from? 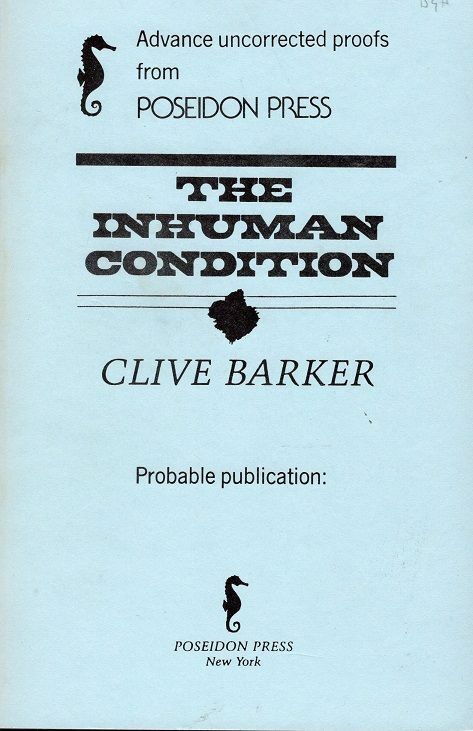 It came from a quote from the back of the Advance uncorrected proof of the The Inhuman Condition. 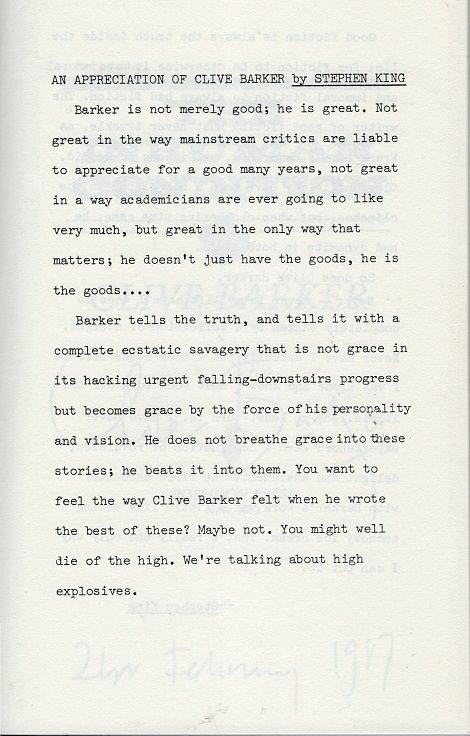 But the interesting thing is the 2 page Appreciation that is printed in the Special Preview Tale " REVELATIONS" proof that has never been printed anywhere else...That I Know of.